This 42 lot subdivision in Minster school district is located on the south-east side of Minster adjacent to Paris Street park and within walking distance of the heart of Minster. Two private cul-de-sac streets highlight this subdivision with protective covenants in place to protect your investment. All city underground utilities service all lots. Lots are economically priced at $42,000 for the lot of your choice. The areas most unique subdivision! These "fully wooded" building lots in Minster school district are located just east of Minster off Shelby Road and adjacent to Lake Loramie. They offer the perfect country setting. Central sewage and all buried utilities service this 22 lot subdivision with protective covenants in place to protect your investment. Choose the lot of your choice for $50,000 each. Developer currently offering $2,000 rebate per lot. This subdivision resides in the village of New Bremen, but is serviced by Minster school district. Phases I through IV offer 34 lots which are now available with several future phases proposed. It offers village sized lots with a country setting conveniently located midway between New Bremen and Minster and adjacent to the YMCA. This subdivision features all buried utilities with protective covenants in place to protect your investment. Lot prices are $34,000 for any lot of your choice. 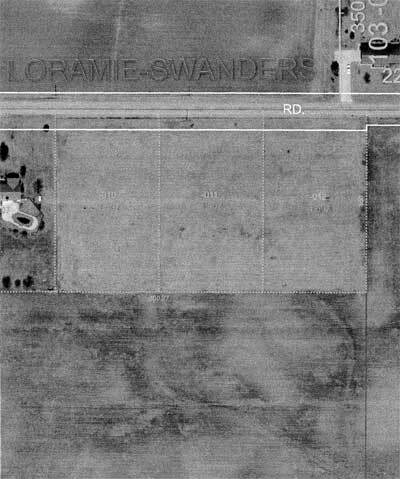 This 12 lot subdivision is located on the north east side of the village of Ft. Loramie in the Ft. Loramie school district. The building lots are dedicated for two unit condominiums, which will be built to your specifications by Weigandt Development LTD. One private cul-de-sac street guarantees your privacy. All city utilities service these lots. Lot prices are $38,000. Call us today! Real Estate tax abatement on all new construction! 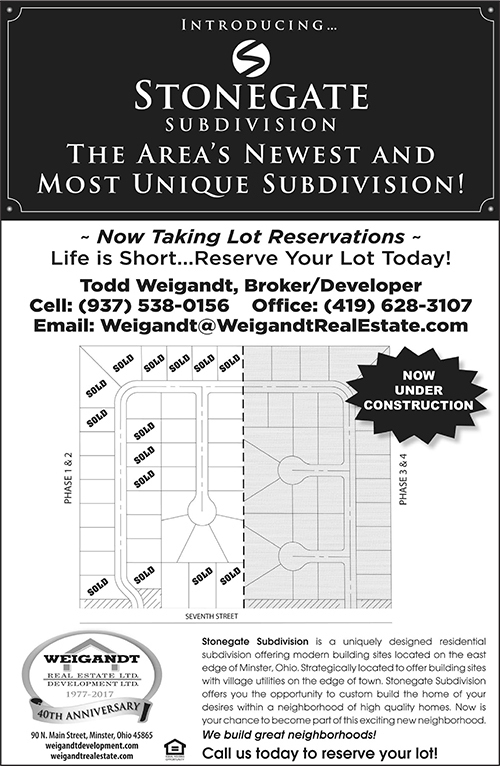 WESTPHALIA ESTATES is the newest subdivision in New Knoxville, Ohio. This subdivision is located on the edge of town but has all village utilities. There are single family and multi family lots available to build on in this very nice new subdivision. Choose the builder of your choice. Please view the attached subdivision layout, pricing, and the covenants. SANDY BEACH is a subdivision in St. Marys, Ohio. The Sandy Beach community is located on the north shore of Grand Lake St. Marys (Ohio's other Great Lake) in Auglaize and Mercer Counties, OH. Please view the attached subdivision layout, pricing, and the covenants. - 1.50' acre "wooded" building site located in the "country"
- Ft. Loramie Swanders Rd.